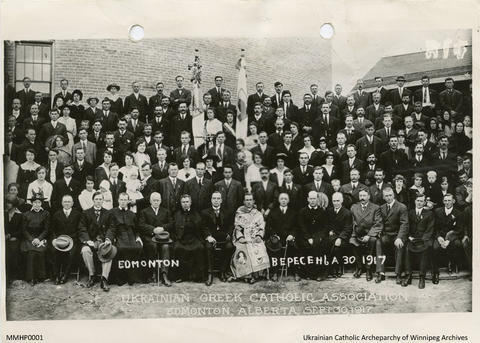 Group photo in Edmonton, Alberta, September 30, 1917. Black and white print with 2 holes punched in top of photo. 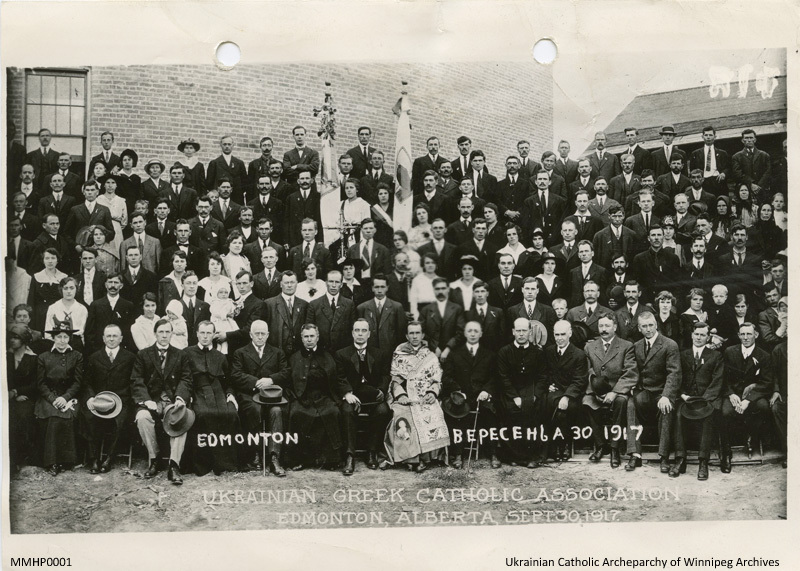 Typewritten and hand-written information in Ukrainian and English on bottom face of photo.